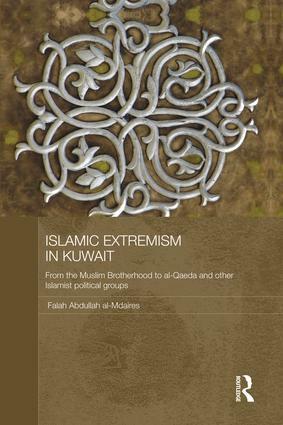 This book is the first to provide a complete overview of Islamic extremism in Kuwait. It traces the development of Islamist fundamentalist groups in Kuwait, both Shiite and Sunni, from the beginning of the twentieth century. It outlines the nature and origins of the many different groups, considers their ideology and organization, shows how their activities are intertwined with the wider economy, society and politics to the extent that they are now a strong part of society, and discusses their armed activities, including terrorist activities. Although focusing on Kuwait, it includes overage of the activities of Islamist groups in other Gulf States. It also discusses the relation between Ruling Families with Islamist political groups, thereby demonstrating that the intertwining of Islamic ideology and armed activities with politics is not a new development in the region. Falah Abdullah al-Mdaires is Professor in the Department of Political Science at Kuwait University.